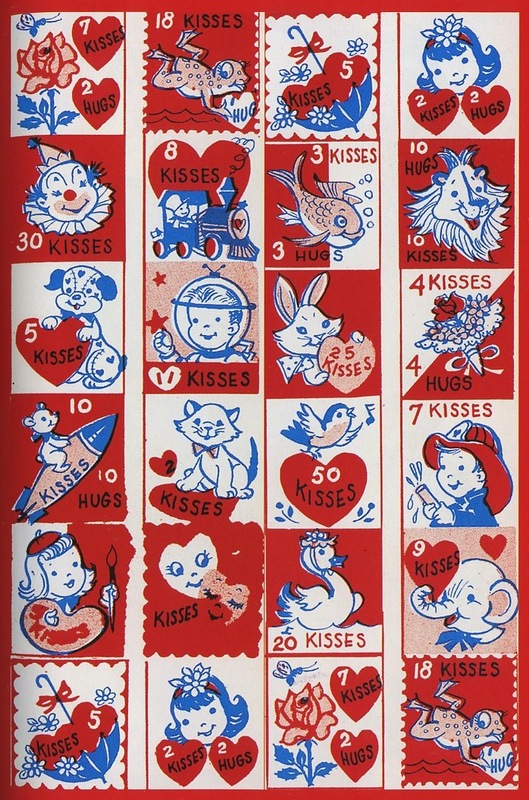 Here are some vintage valentines, funny and sweet, that I’ve come across over the years. 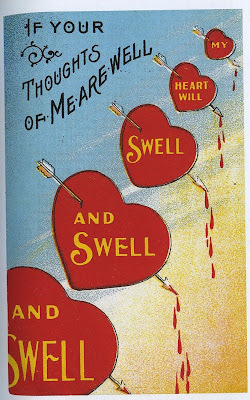 Vintage Valentines from years gone by that might keep you guessing, and definitely giggling. The puns are so punny, some are completely socially inappropriate and others just don’t make sense at all anymore. 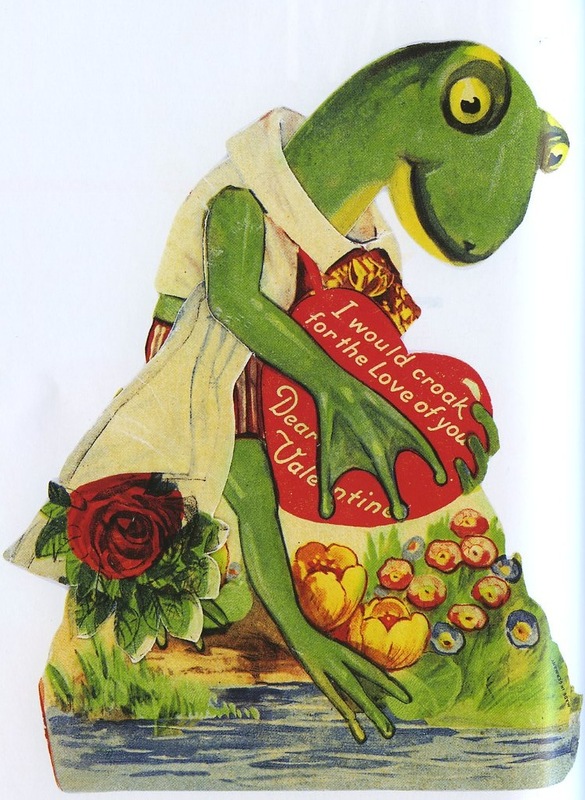 Find more on my Valentine Pinterest board! 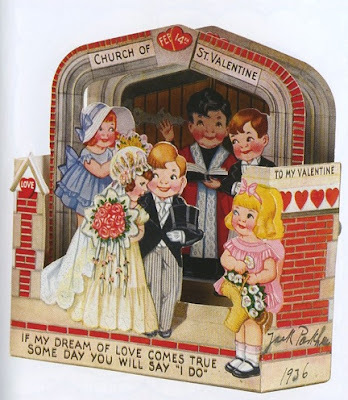 And be sure to check out vintage valentines Part 2. 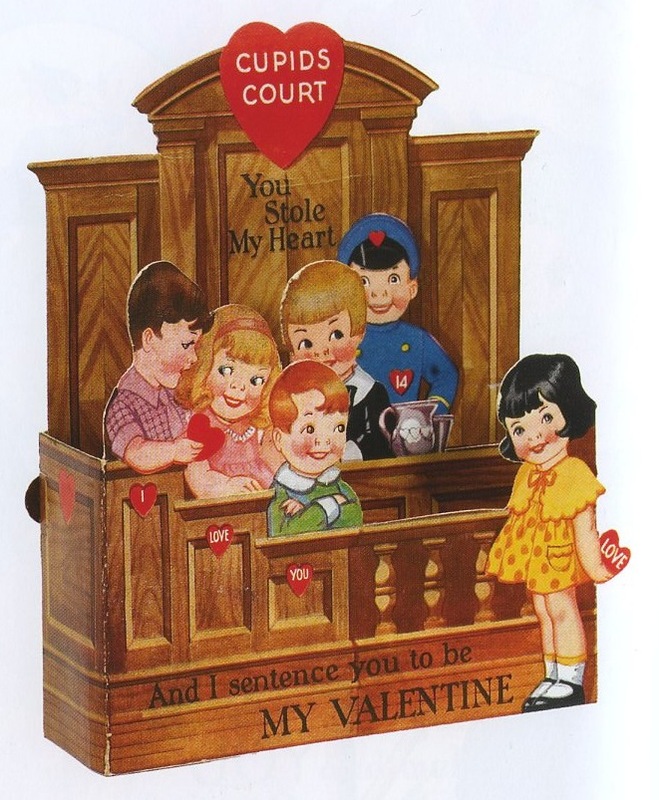 I hope this was a special valentine purchased for that one special someone, not purchased in a box of 35 for your whole 3rd grade class, breaking hearts all over town with the promise of ‘some day’. So, what is going on here? 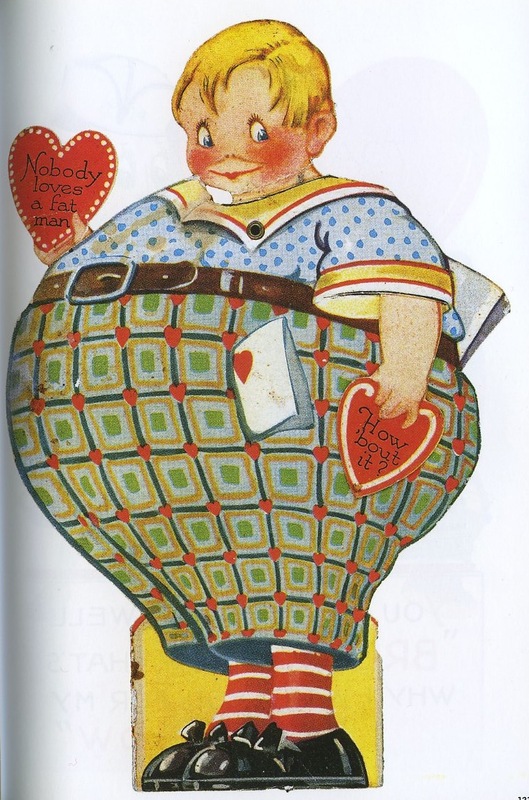 Is he trying to say, “I may be a chubby kid, but I promise to slim down when I become a man”, so please be my Valentine? So cute, I’d like this a wallpaper somewhere in my house. 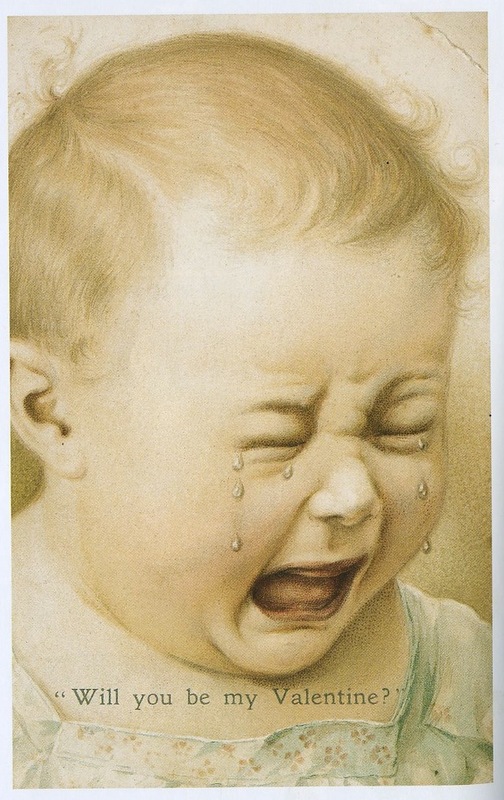 This entry was posted in holiday and tagged baby crying valentine, blood dripping valentine, church of st valentine, cupids court, fat man valentine, frog valentine, funny valentines, funny vintage valentine, happy valentines day, hugs and kisses stamps, my heart will swell valentine, shocking valentines, shocking vintage valentines, sweet vintage valentines, Valentines Day, vintage valentines on February 7, 2017 by NoelleOlpin.